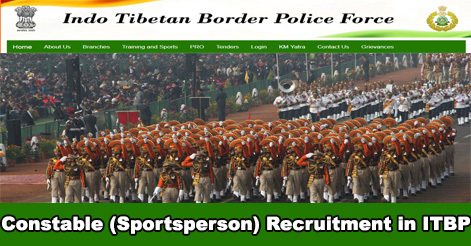 Indo-Tibetan Border Police Force (ITBP) under Ministry of Home Affairs invites applications from male Indian citizens for various posts of Constable for a sportsperson. This recruitment will be done under General Central Service Group ‘C’ Non-Gazetted (Non-Ministerial) on 101 posts of constable (GD). ITBP has released notification for the recruitment of 101 Constable (Under Sports Quota) posts. 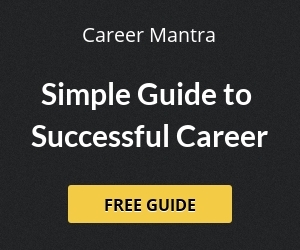 Interested Candidates may apply online from 15 October to 14 November 2018.
i) Candidates, who have represented India on National or International Games Competition. ii) Candidates, who have got National Award in games under National Physical Efficiency Drive. iii) Junior Sportsperson (Comes under 18) has got a National Award in games. The selection of the candidates will be done on the basis of performance in the written and medical test. Interested candidates may apply online through the official website www.recruitment.itbppolice.nic.in. from 15 Oct to 14 Nov 2018. No other modes/means will be accepted. Help us to improve this article/job posting "101 Constable (Sportsperson) Recruitment in ITBP". We would be glad if you can comment below and provide your valuable suggestions and feedback. If this page have any wrong information/list or out of context content, then you can report us as well.